Another way we maintain our reputation for excellence in driver safety is with this very blog. We create content with our own knowledge or find reputable, relevant articles on the web, with the goal being to inform our listeners about industry news, driving tips, and safety guidelines. 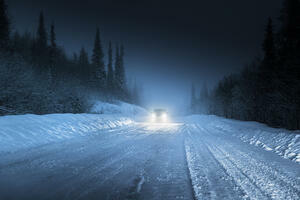 One such article from our friends at Automotive-Fleet.com covers the chilling topic of icy roads. Providing a list of precautionary and preparatory measures one may take to avoid a spin-out, the article also lists pertinent instructions on what to do in the case that you do lose some control of your vehicle. Follow the link to read more, and stay tuned to our blog for more original articles and links to sources with helpful information! Most importantly, buckle up and stay safe!